Last year I bought a LG Hombot Square robot vacuum cleaner. After 3 months of use I’m still very satisfied. But now it’s time to bring this device to the next level. After spending some time on Google I found that the LG vHomBot Square 3.0 has a different name in other countries. After searching this names I found a German forum (http://www.roboter-forum.com/) with many active LG HomBot users (subforum: http://www.roboter-forum.com/forumdisplay.php?72-LG). One of the topics describes how you can add WiFi functions to the HomBot. That sounds interesting… (after translating the text, the last German school class dates from 15 years ago…). So to help English speaking readers I translated the text and added some pictures and videos so you can add WiFi to your own HomBot (or whatever it is named in your country…). Disclaimer: Be aware that all these steps are at your own risk! There will be no support from LG and may void your warranty. Yesterday I’ve upgraded my Synology DS 410 to DSM 5.0 BETA. After the upgrade all packages are working but when I started my HTPC XMBC was unable to connect to the MySQL library on my DS. It turns out that MySQL is replaced by MariaDB. All databases and users are available in MariaDB and I can access them with phpMyAdmin, but not remote from XBMC. Fixed an issue where MariaDB cannot start. Now binds to all network IP addresses in addition to localhost. Some users like to run software programs on there Synology DS which are not available in the package center (Synology repro, or any other). 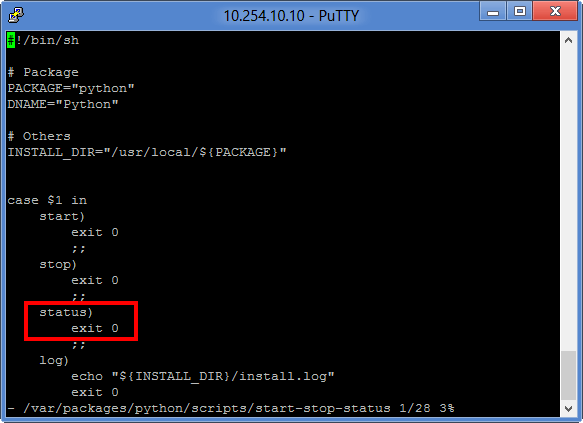 To install software you may need ipkg (or the Itsy Package Management System). ipkg is not default installed on your Syno so you have to do that yourself. On the Synology wiki there’s an article which describes the process of installing ipkg, but many users are having trouble with this guide. So why did I ordered the Ouya? Well I’m not so interested in the gaming features but more in the capability to run the XBMC media center on it. 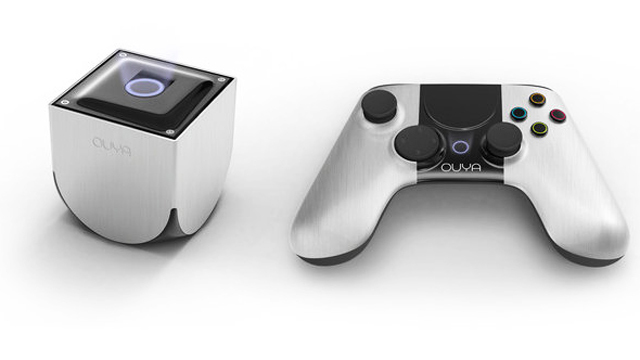 There’re several XBMC developers involved with the development of the Ouya hardware and software so when Ouya comes to the public in April 2013 I’m expecting it to come with the XBMC release for Ouya. Also interested in getting your Ouya, pre-order it before February 4 to get it in April! XBMC 12.0 “Frodo” now available! This afternoon team XBMC released version 12.0 code named “Frodo”. But don’t worry, there’re enough mirrors out there! http://mirrors.xbmc.org/list.html, select a mirror and start downloading! Posted in Home ProjectsTagged xbmcLeave a comment on XBMC 12.0 “Frodo” now available! For my blog I do a lot of testing on my own ‘production’ Synology DS410. Because I’m hosting all my media and personal documents on this DS it will be very annoying if anything went wrong. I was thinking of buying a low priced DS (like the DS 212j) for testing when I discovered a community project called XPEnology. XPEnology is a modified Synology DSM firmware which runs on virtual hardware (and some physical hardware to), of course without any support from Synology but great for testing. In this post I’ll guide you to the process of installing Synology DSM inside a virtual machine. As I mentioned earlier today Synology released the public Beta of Disk Station Manager (DSM) 4.2. For the first time I made a video tutorial with the instructions on how to install this version of DSM on your Disk Station. Today Synology published the Disk Station Manager 4.2 Beta download on there website. I will write a post on how you can upgrade to DSM 4.2 soon. As you can read in my previous posts I’m a big fan of the Synology NAS products and the XBMC media center. 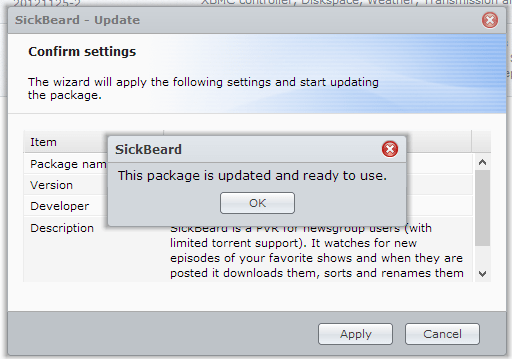 In this post I’ll show you how to transform the Synology NAS into the ultimate XBMC media backend. This week I’ve posted about my new Raspberry Pi which is running XBMC. All my media is stored on my Synology Diskstation and accessible over the network using the SMB protocol. The disadvantage of SMB is that it’s very CPU intensive, and because the Pi has only a 700 MHz CPU core you may experience some hick-ups during video playback. To solve this we can use NFS to share the media to XBMC. The NFS protocol has less overhead compared with SMB and therefor uses about 20% less CPU resources. So in this post I’ll explain how to enable NFS on the Synology DS and connect these shares to XBMC.